Also known as Kanniya Hot Wells, it is the perfect instance of a wonder of the nature. 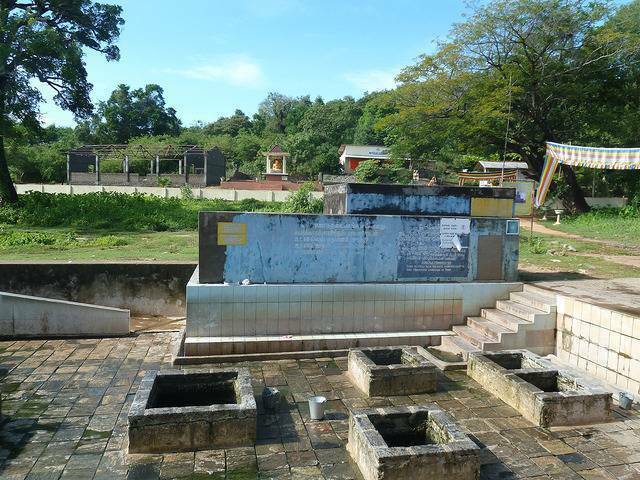 It is situated just at a distance of 1km from Anuradhapura Road on the Trincomalee-Anuradhapura main road, while the distance to the hot spring is 10km north-west from the town of Trincomalee. According to a legend, it is said that King Ravana pricked his sword in anger in several points of the earth and then emerged the hot springs. This statement is mainly believed by the Hindus. At present there is a Buddhist shrine constructed in this place. The Buddhists believe that this place is a part of the Buddhist monastery and monks and is a part of their complex. There are total 7 hot wells at Kanniya. The temperature of each of the hot springs is different from the other and is located in a 10 sq.m area. The wells are now maintained by the Mari Amman Kovil in collaboration with the authorities of Sri Lankan military.